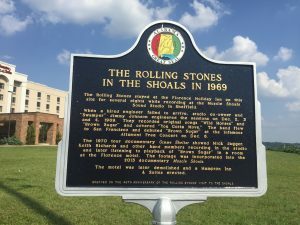 Alabama is filled with rich music history that is rooted in almost in every corner of the state. The town Muscle Shoals is known for its the rich musical history to most of the local people in the area, but few people across the state or nation knew about or fully understood how the area impacted the industry until the documentary Muscle Shoals was released. Now people are flocking to the area to see for themselves what the buzz is about. The film tells the story of the music industry in the quad city area of Northwest Alabama; if you haven’t seen it, rent it. It’s really, really good. There are so many great musicians from that area. In fact, some of my good friends are musicians who live and perform there. I have a strong appreciation for the music and sound of the Shoals area. My appreciation came about accidentally really and happened because of my being asked to speak on public relations at a State conference in Orange Beach, Alabama in 1994. That was the year I met my friend Eddie Martin. Eddie was tasked with introducing me at this conference. After the session, he and I were cleaning up the room, and I asked him “so what is it that you really do?” He laughed, and finally said to me “I am a singer-songwriter from the Shoals area.” You will have to ask him about how he got into the music industry, however, since meeting at that conference, I have worked with Eddie on the promotion of several music projects. Those projects have included his solo projects as well as projects with musicians he produced. A few years ago Eddie formed the band The Wildwood Ruminators, a group I would classify as Americana and a group who writes, produces and sings original songs. I have followed the progress of the Ruminators as they are called and I would highly recommend your listening to their music and catching them in concert. All of the members of the band are multi-talented musicians and songwriters. Through my work with Eddie I also have had the opportunity to meet a number of wonderful musicians and attend musical events and performances that I never in my wildest dreams I thought I would, if you had asked me before 1994. I am not going to drop names at this point because, for me, that’s not who I am or what this piece is about. What this is about is my appreciation for the musical talent in this state and how excited I am to talk about it with anyone who will listen. 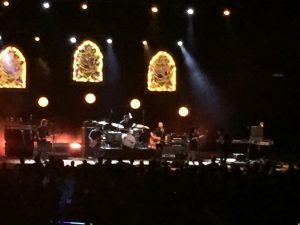 With that in mind, last night, I had the opportunity to hear another one of Alabama’s talented musicians, Jason Isbell (even though I realize he now lives in Nashville). Jason is from Green Hill, Alabama a small town in the Shoals area. I have learned through articles and news segments about Jason that he has had to overcome addiction to get where he is today. In fact, in the recent CBS Sunday Morning segment that featured him he talks about being fired from the Drive By Truckers because of his addiction. Last night’s concert did not disappoint. One of the best moments of the concert in my opinion was when Jason sang the song Cover Me Up, which he wrote for his now wife, Amanda Shires. Amanda plays fiddle with band. I thought the performance was very special because the song specifically talks about how he overcame his addiction because of his love for her, and you could see their love for each other in the performance. I have listened to it over and over on Spotify. It is probably my favorite song of Jason’s so far, and now that I know the story behind the song, I appreciate the lyrics even more. Jason is a true Alabama- born talent. He writes songs from his heart that tell the story and the truth about his life as a musician. So if you get the opportunity to see him perform by all means take it. Born in New York, raised in Chicago and spent several years of my adult life in Cleveland categorizes me as a Yankee. The loss of my husband and my mother made me realize that I wanted to be near my children. This was a dilemma since one son lives in San Diego, the other son lives in Richmond, Virginia and my daughter lives in Birmingham. Well, my daughter won the lottery and got her mother as the prize. So I packed up my house and headed down south. It was an excellent choice. Not only was I able to spend time with my daughter and her family, but I also fell into the warmth and congeniality of the South. I remember walking into a department store in the mall one day and heard someone say “good morning”. I looked around to see who had greeted me and was shocked when I realized it was a salesperson and that was the only the start. People smiled, made eye contact, and greeted me wherever I went. 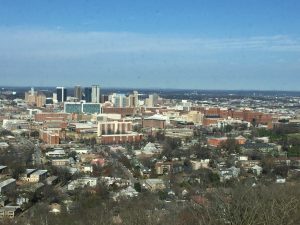 These small gestures made for such a pleasant transition to my new home, Birmingham, Alabama. Of course, the various landscapes took my breath away. The beauty surrounded me. It was nothing like the plains states from which I came. Hills, valleys, blue skies, flowering trees and shrubs presented a picture which instilled a peaceful calm within me. Although the rather windy roads and lack of street signs definitely sent me on some rather interesting and unplanned side trips. Birmingham is such a great place. It is centrally located to other parts of the state. Only a five- hour drive and I am at the Gulf Coast. Many people do not realize that Alabama offers a varied topography. The state has rivers and mountains in the North and the beaches in the South and Wiregrass areas to the east. Once at the gulf a calmness again came over me as I walked on the white sand and waded in the clear blue water. I watched beautiful sunsets and ate some really great seafood. The shore keeps calling me back and I have answered and returned several times. Of course, I plan several more visits to the water. Since I have been here, I also have discovered “the Shoals” and absolutely fell in love with the area. There are so many hidden treasures such as Tom Hendrix’s wall that sits just off of the Natchez Trace Parkway. His story of his great grandmother and her plight moved me in such a way that it touched me to my very core. When she was 16 years old she and her sister were rounded up to walk the Trail of Tears from northern Alabama to the reservations in Oklahoma. Once there she escaped by herself to return to the “singing river”. The Wall represents her journey to the reservation and her journey home. Mr. Hendrix keeps her story alive through this stone wall. His work of love has been placed on the National Historic Register. And then, of course there is the music. It is alive and well in the Shoals, Muscle Shoals in particular. It gives another example as to why the Tennessee River is called the “Singing River”. Being a bit of a music junkie, I had to tour a couple of the old recording studios, 3614 Jackson Highway (Muscle Shoals Sound) and Fame studios. It’s hard to believe so many singers and songwriters came to or are from this area. Aretha got her start there and so many stars recorded in these studios, like the Stones, Wilson Pickett and Cher just to name a few. 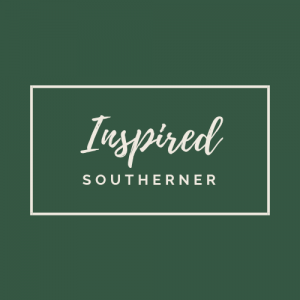 I have only been in Alabama for 6 years and am constantly learning more about this wonderful State in the South. It is really a best -kept secret. War Eagle, err Roll Tide……… go Bears!!! !